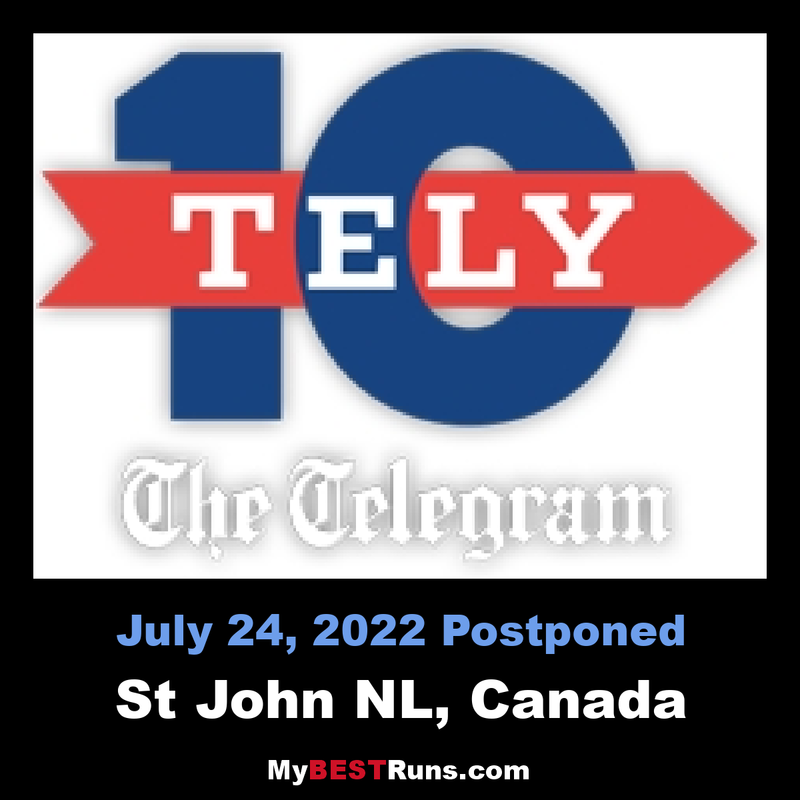 The Tely 10 is a special event in Newfoundland and Labrador. It is the most popular foot race in the entire province, and boasts runners from many different age groups, from countless different parts of the country. In the Tely 10, many people join for the chance to come out on top, to earn the title of champion, while many more people race simply to race and be able to say they crossed the finish line. It is an incredible experience for all involved, and doubtless many memories will be made during the race. Newfoundland´s premier road race, the Tely 10, is believed to be the third oldest road race in Canada and one of the oldest in North America.First run in 1922, The Telegram 10 Mile Road Race (the Tely 10) has become the province’s most popular road race, drawing close to 2500 participants for the July, 2009, race. This ten-mile run from the Octagon Pond in the Town of Paradise on the outskirts of St. John’s to Bannerman Park in the heart of the city is a unique challenge for runners of all abilities. For competitive racers it is the one race they all want to win, thus adding their names to the long list of former champions. For the recreational jogger or walker, completing the course is in itself a victory. "It's a challenge. Myself and the 5,000 people in this race, we have goals. It's that opportunity, that beacon, that lighthouse, for you to meet those goals." And those goals took down a big record this year. "You couldn't help but look at all those names stacked together who won multiple races," he said. "Pat Kelly has that big chunk there. It stands out — nine wins and who knows what he would have ran, how many more he would have won, if it were not for war," he said. The record had been held by Kelly, who won nine straight titles — seven from 1933 to 1939, and another two in 1946 to 1957, when the race resumed after the Second World War. "I know I got 10 wins but I hope there's an asterisk there next to Pat Kelly's name because he's a special person," said Fewer. Fewer is now looking to knock a few items off his bucket list. "I'm a cross-country runner at heart and I'll hopefully go back to the Canadian championships in November but I haven't ruled out the possibility of a half marathon or I'll talk with my coach, possibly a marathon." 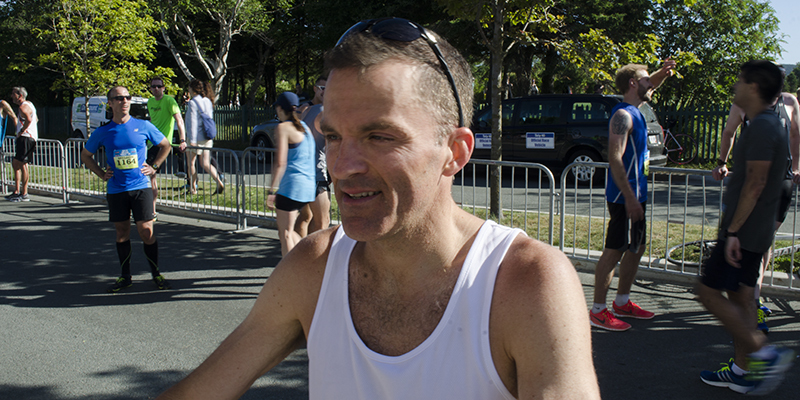 The Tely 10 holds a special place in Fewer's heart. "It's a special distance, and it's a special race in Newfoundland. It's been building the history, and people are realizing now they want a healthier, more active lifestyle," he said. The race starts on McNamara Road, off Topsail Road in the Town of Paradise, near the Paradise Community Centre. Runners proceed eastward on Topsail Road, Cornwall Avenue, LeMarchant Road, Harvey Road and Military Road, turning left onto Bannerman Road to finish just past Bannerman Park Swimming Pool.